I love WWII whether it’s novels, or memoirs. 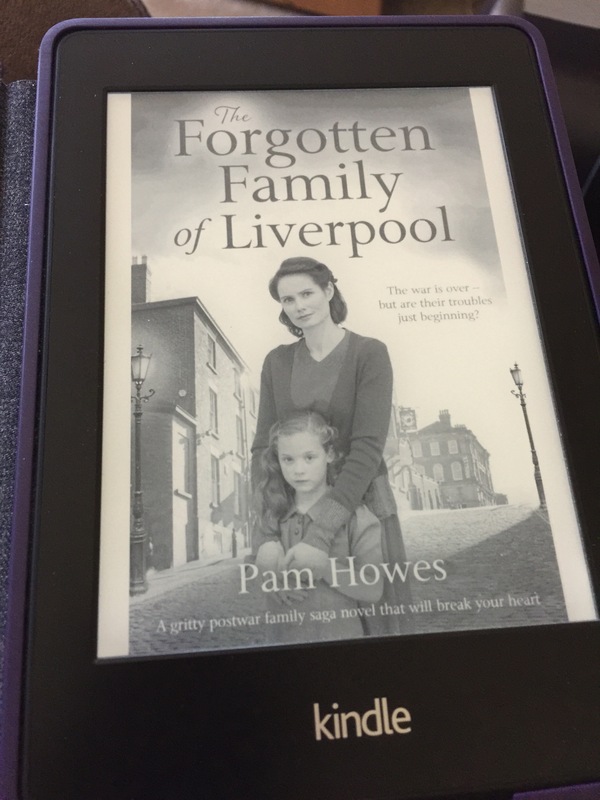 The Forgotten Family Of Liverpool is set in England where Dora dealing with the fall out of her marriage to Joe due to him being unfaithful with a coworker named Ivy. Dora and Joe have two daughters. Their daughters Jackie and Carol have their preferred parent. Jackie, the youngest likes her mom best and Carol, the eldest prefers her dad. When an unknown person reports that Carol isn’t safe to live with Dora her eldest is made to go live with Joe. Dora has postpartum depression she struggled with in the past, but with a new start she’s determined to get custody back. The challenge is that Joe wants her back. He’s asked forgiveness countless times, but Dora is too, burnt by his betrayal. When Dora’s mom is injured one day by an unknown individual, Dora wonders if there’s someone out to get her and her family. Thankfully Dora lands a job as a seamstress for a sweet elderly couple who become like second parents to her and surrogate grandparents to Jackie and Carol. This family drama has many twists and turns. If you enjoy this era and anything British this might be a great book for you. There are so many British expressions and words I had to bust out my dictionary. Not knowing lots of British expressions it was quite an educational read. It felt a tad slow-paced till then. I would like to read the next book in the series, not to mention the first book. I received this ARC for free as a courtesy from NetGalley for my honest review. If you would like a copy of this book it comes out this Wednesday, July 26, 2017.